17.3 x 10.1 x 7.0 cm. 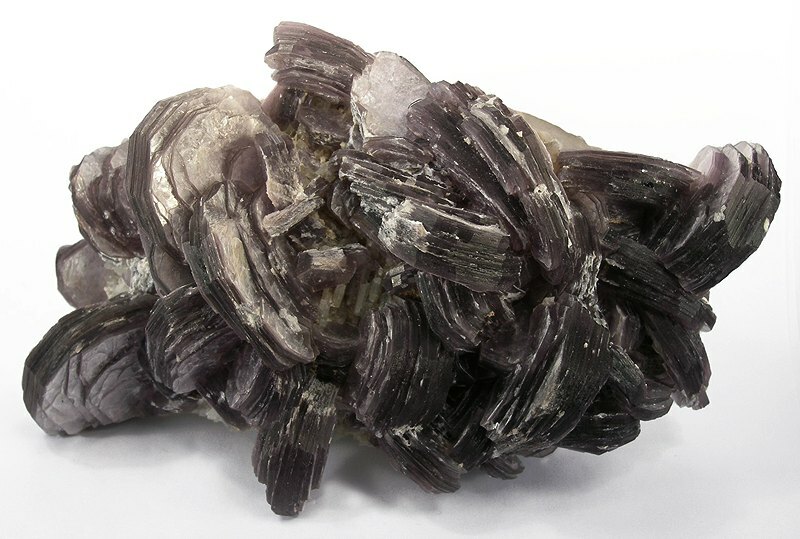 A superb lepidolite specimen by worldwide standards, with rich metallic blades of a lavender color, to 4 cm. These are well-developed crystals...the species is usually just rock matrix to better species, but here it is the focus. This is in particular a fine piece for San Diego County, not just good for the species, and just off the charts in style for this particular mine. I am told it was a very small find found by Phil Osborn in the 1970s. This is the larger of two pieces Larson was able to acquire. Ex. William Larson and Chris Korpi Collections.